Still looking for that perfect holiday gift for someone? If you are here in Barcelona, worry not, we have a list of Barcelona´s top shopping areas and shops, just in time for Christmas. From obscure boutiques to Spain´s best chains, Barcelona offers an authentic experience to find exactly what you are looking for. We recommend checking shops hours in advance to going as they vary between types of stores, with small, independent shops in local neighborhoods having more limited hours than bigger brands with large shops in the city center. The first type is usually open from 10:00am to 1:30pm (with a break for lunch) and then again from 5:00pm to 8:00 or 9:00pm and the second type usually is open continuously from 9:30am to 9:30pm, both from Monday to Saturday as nearly all shops are closed on Sundays here. We´re excited to share our favorite spots to shop! An old bullfighter´s ring has been transformed into one of Barcelona´s top shopping mall, conveniently located in Plaza de Espanya. This mall has many of Europe´s top stores, such as Mango, Superdry, and Desigual, to name a few. You can always take a break, though, at one of the mall´s restaurants, including a few with amazing views from the top of this multi-story complex. Additionally, it houses the Museum of Rock! The ultra-luxe Passeig de Gracia is one of the most beautiful historical streets in Barcelona and also one of the most expensive to shop on! While you will find more affordable brands such as Zara and H&M spin-off & other stories, the street is mostly filled with international such as Gucci, Dolce & Gabbana, Chanel with a few local brands and artists found at stores such as Loewe and Vinçon. 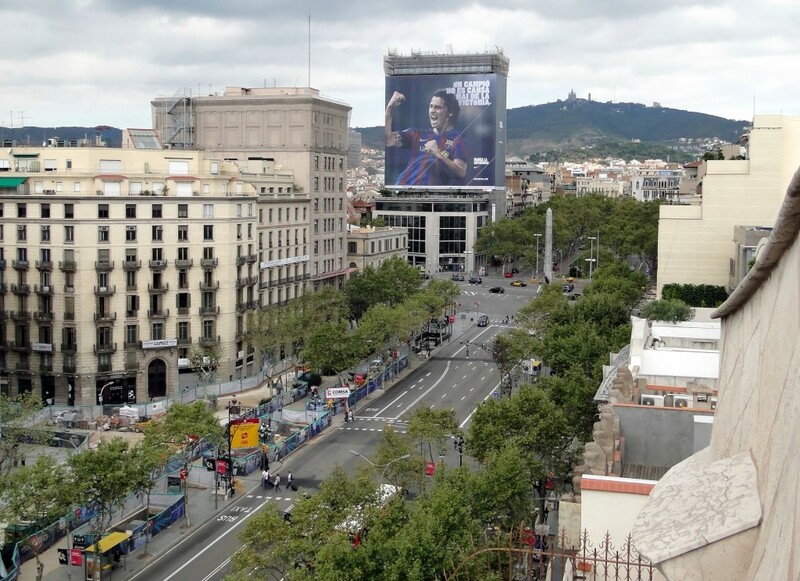 Passeig de Gracia also boasts some of the city´s most iconic architecture so you can´t miss out when stopping through! If you are looking for a neighborhood where you can mingle shopping with eating and drinking, this is the place for you. Explore Barcelona´s more boutique-y district with artisanal jewelry, shoe, and craft stores, taking time for a pastry, tapas, or glass of wine in between shops. For Barcelona´s best vintage and second hand buys, come to this budding barrio, full of bohemian shops and ethnic restaurants. This area is a popular hangout for artists, students, and the newly arrived in Barcelona – like the Brooklyn of the city! This name perfectly describes this place, one of Barcelona´s biggest open air markets. In a single visit, you might find antique furniture, jewelry, books, music, and novelty objects among the apparent chaos. 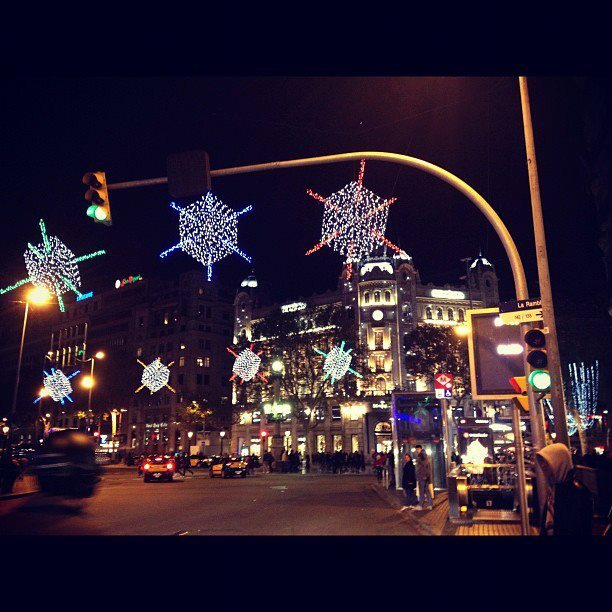 What is your favorite place to go shopping in Barcelona around Christmastime? We have apartments waiting for you in El Born, Gràcia, and the Eixample, to name just a few… why not come see what we´re talking aboiut for yourself! To find out more, follow us on facebook, twitter, and more!